Taylor of Old Bond Street Shell Comb. This handmade tortoise shell comb. 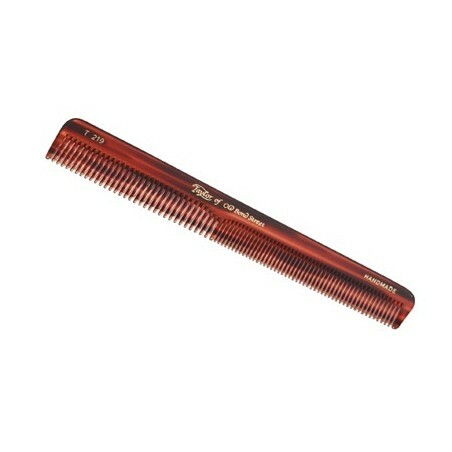 This comb combines fine and course teeth allowing you to comb your hair easily removing knots. It is 17 cm in length making it a perfect companion for your other toiletries in your grooming kit. 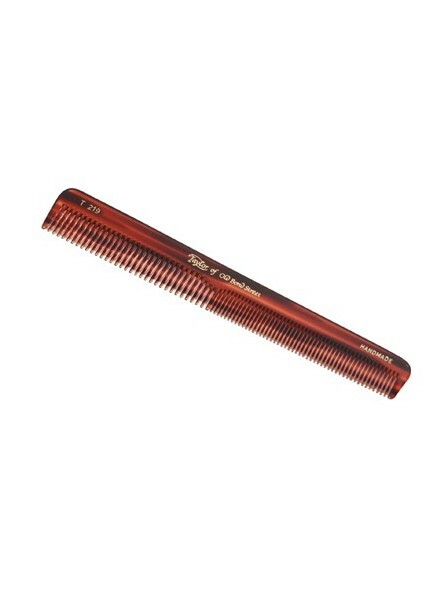 This comb is presented in a plastic wallet and has been made to the highest standards as expected from this English brand.